I am looking for a source of 1920-30s 15mm Chinese, with both uniformed and non-uniformed options. Uniformed troops should be carrying bolt-action rifles (Mausers) and the non-uniformed troops should have a mixture of weapons, both ranged and hand to hand. I guess there was a range being developed by Regiment Games, but I cannot seem to locate the range nor Regiment Games any longer. And while we are at it, any source on gunboats for the same period? Try Virtual Armchair General. At one time they had a line of 15mm gunboats in card and were talking about doing 15mm figures too. And Old Glory does some gunboats in 15 too, not sure if they would work for the time period you are talking about though. not bad. Might be too early though to use. I am looking for something a bit more Sand Pebble-ish (and I should have mentioned that to begin qith). You're a man of diverse interests, Darryl. I'm interested in Revolutionary China myself, though so far I've just read up on the subject, haven't tried to model anything. I have a copy of the old Warlords boardgame, you should checkitout sometime. non-uniformed troops would be bandits. Maybe 'peoples' militia', although they'd be scarcely armed in the 20s-30s. Cloth is pretty low-tech, and any warlord worth the name could put his men into some kind of uniform. The Chinese Army uniform of 1912 was very similar in cut to the 1914 British uniform, even had a similar cloth cap. 1914 Brits can proxy for several of the warlord armies, even the puttees look right. 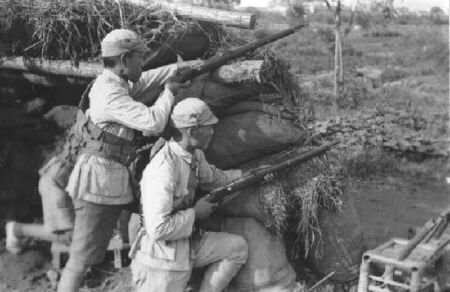 The Mauser was popular in China, it became the standard rifle of the Nationalist armies, but plenty of other rifles were circulating. Chang Tso-lin's Manchurians had a lot of Japanese weapons. Other warlords made bulk purchase of Enfields, Springfields, whatever the arms merchants had in stock. Keep us posted where you go with this. I might even join in this adventure. I must recommend the Charles Finney novel The Magician Out Of Manchuria for inspiration. A wonderful pulp/fantasy romp through Revolutionary China. Finney also wrote The Seven Faces of Dr. Lao. Good info there, and I agree that the non-uniformed troops would be a motley bunch indeed. Could probably even use Boxer Rebellion Chinese for those. For the gunboat, maybe this (could be a smaller boat). Osprey also has a nice book on Warlord China, and one on US uniforms of the same period. Their gunboat book is quite nice. Buckeye, I have a couple of 15mm boats and ships that may work for you. I will try and dig them out of the storage closet. I have sold off all of my 15's save for these as a friend had once stated he wanted them, but not any longer. JB, if you have one (or more, depending on the price) that works for this period, I am interested! You can PM me here, or email me at preds81 at yahoo.com. If you can send pics, that would be stellar! And thanks all for the book suggestions. I do need to grab up the Ospreys so so shopping is in order. For figures have a look at Irregular Miniatures link and their Really Useful Guns link Some of the Chaco War range link and Bulgarians and Romanians from the Balkan Wars range could also fit in link . There is the Colonial range which has some Chinese link and The Russo-Japanese Japanese could be used as Northern Chinese 'Pork Pie' hat Warlord troops. 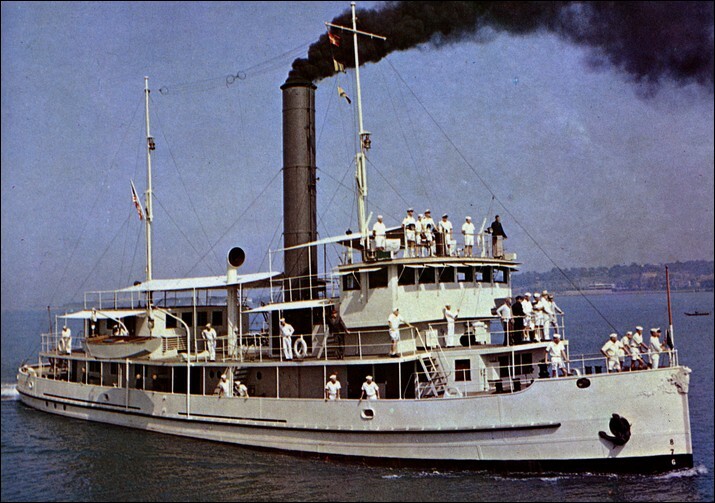 Don't forget Eureka does some WW2 Chinese, US Marines and Sailors that could be used off the Gunboat. Some of the peter Pig SCW and RCW stuff could be press-ganged as well. Ah, yes, I do see where some of the Irregular figures might be used. They even suggest Russian-Japanese War Japanese to use for well-armed/dressed Chinese. Might have to give Irregular a closer look! I do have the Eureka Wake Island Marines and sailors (which is where this entire thread was inspired by). Their Chinese troops for WW2 have the best headgear for representing the good quality Kuomingtang troops that the San Pablo's shore party encounter. I believe, though I could be wrong, that you can't actually specify which headgear you want from Eureka, it's a random mix, which would represent some problems. I would check with them though. The variation in headgear that the Chinese Warlords and the KMT used is truly staggering. I've seen round Coolie hats, French Adrian helmets, but the most common is the peaked cap similar to that worn by the British army. Seeing as you mentioned the Sand Pebbles, thought you might like this link. The photographs are excellent too. By the way, the Sand Pebbles (1966) airs once this month. I plan to take my time watching that flick. It's been decades for me. PS. I think it's set in the mid 20s, if I remember correctly. "Most of the Chinese navy was patrolling on the Yangtze Kiang, deep enough to Hankow, 600 miles offshore for the cruisers. These river gunboats were modestly armed and rather small in their category. These were composed of units of all ages. Some were "veterans", ships dating from 1902 as the two Dog Wei class, known in 1932 under the name of Tse Chiang and Ta Tung, rearmed and modernized in 1931-32. There were also the Hoi Fu and Fu Yu (1904), the six units of the Chu class (1906-07); Also operating were the two 1912 Hyung Feng class, the two Yung Chien class (1915), the four Chiang Kung class of 1908, the two Chiang Hsi class of 1911, and the two Wei Sheng of 1922, converted into seaplane carriers in 1928. All these vessels were in the less tha 1000 tons range. They were not fit for high seas and had limited range. * Note: The green patrol boat above is a stylized MAS. Storyforu – Love those ships, where did you source them from? Thanks. The Japanese 'steel truck' (coastal freighter) is scratch built (see link), the patrol boat (which started life as the PT-109) and junk are reconstituted and waterlined builds from childhood. Here's a good narrative on the old PYRO Junk kit. 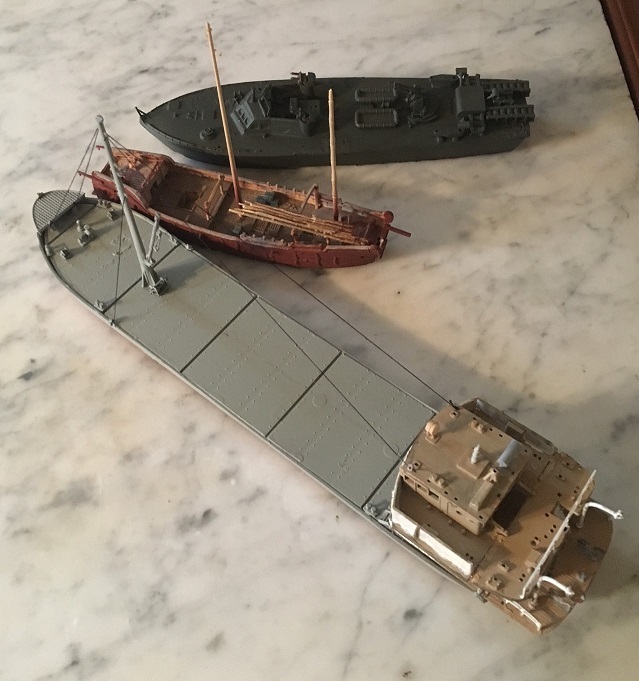 And I wasn't kidding – if one of your guys needs the patrol boat (fitted with depth charges, a Jap triple 25mm and two paired water-cooled Maxims) & junk for your campaigns, PM me and we'll work something out.